This is the sydney page. This surfing odyssey is the best start to surfing possible. 4 days of expert instruction followed by 10 days improving your new skills whilst surf-tripping up the east coast. Stay beachside at iconic Australian surfing locations - Yamba, Byron Bay, and Coolangatta on the Gold Coast. Experience a surf tour for a day and do it adventure style! Escape the crowds and learn to surf at uncrowded & scenic beaches only a half hour from Sydney. Enjoy learning the basics on safe beginner waves, feasting on a delicious lunch, and relaxing under the sun. A perfect short trip for all. Your beach & wilderness escape... Australia's oldest National Park, the Royal is perhaps its best kept secret. You'll discover not only bush and rainforest like in the Blue Mountains, but also beaches and stunning coastlines. If you only have one day in Sydney, then this should be it! Feel the wind on your face with a 1 hour pleasant ride through the beautiful Blue Mountains travelling along Edge Cliff Drive. Feel the wind on your face with a 1 hour pleasant ride through the beautiful lower Blue Mountains by travelling up to Springwood via the Great Western Highway and return via Winmalee & Yarramundi. Cruising over the Harbour Bridge on the back of a thundering, rumbling Harley allows you to see Sydney like you never have before. We visit Manly and then head up along the beaches via Dee Why, Collaroy, Narrabeen and Mona Vale before returning to the City. If you're looking for an all in one motor sport adventure then this is the Package for you. Our Off Road V8 Race Buggy & WRX Turbo Rally Driving combo is new and exciting! It's an adrenalin charged blend of awesome V8 power and turbo charged Rally Driving. Take the Jaguar Mark 2 out for its day in the sun! Whether you want to drive over the mountains or down beaches, we're not worried - just have her home by 6! This experience is the ultimate way to get out in the fresh air in one of the world's most revered cars. You'll never forget this day! Brand new Gone but not forgotton team retro jersy made from 100% cotton and sure to bring back memories from the good ole days! This product is an official NRL endorsed product and earns cash for your team.So everybody wins! Experience 2 action packed days with this exciting beginner surf course. Beginner waves, beginner equipment & local instructors who are specialised at coaching first time surfers. After a full day of surfing, stay at our modern beachside cabins located only a short walk to the surf. Escape to the magnificent Blue Mountains for a weekend of fitness training, target weight loss, functional yoga, pilates and bushwalking at a luxury retreat. Guided 2 day hike on the spectacular Coast Track in the Royal National Park south of Sydney. This walk features dramatic coastline and cliffs, ancient Aboriginal carvings,unspoilt beaches and tranquil rainforests. Camp overnight under the stars and enjoy fine wine and a delicious gourmet food. Fantastic fully guided 2 day kayaking adventure in the magnificent Hawkesbury region less than 1 hour north of Sydney. Experience magnificent beaches, pretty coves and charming inlets. Camp overnight at our beachfront campsite where we'll enjoy a glass of wine and a delicious gourmet dinner. Fully guided 2 day kayaking adventure through the towering sheer sandstone cliffs of the lower Shoalhaven Gorge. Only accessible by kayak, this remote area is tranquility at it's best. We'll camp overnight enjoying a glass of wine and a delicious gourmet dinner. Hotel Pick ups available from Sydney. Stand Up Paddling is taking the world by storm. "Get on Board" this amazing new sport. Fun, Low impact and great to do with friends. The 2 hour couples lesson at Rose Bay or Byron Bay will help you to build the skills to confidently stand up and paddle surf. Jump on a Harley and ride through the Harbour Tunnel to Luna Park and Kirribilli House then back over the Harbour Bridge, through Kings Cross with a stop at the famous Harry's Café de Wheels for a break. Then we're back on the bikes and riding up to Observatory Hill to take in the view. Cruise the harbour in style on board a luxury 33 foot Hunter yacht with friends or family. Perfect for all occasions. See all the magnificient sights as we cruise past the historic buildings and luxury homes. Gourmet catering can be provided or BYO. Stand Up Paddling is taking the world by storm. "Get on Board" this amazing new sport. Fun, Low impact and great to do with friends. The 2 hour lesson at Rose Bay or Byron Bay will help you to build the skills to confidently stand up and paddle surf. Experience a 2 night luxury experience that combines unique luxury tented accommodation, a sailing cruise, wonderful food and warm hospitality. Just over 2.5 hours drive south of Sydney, Jervis Bay is a nature lovers paradise with spectacular coastal scenery. 3 day guided walk of the famous Six Foot Track from the Blue Mountains to Jenolan Caves. The track features sheer sandstone cliffs, waterfalls and spectacular panoramas. Enjoy gourmet meals, 1 night camping & 1 night in a Bushwalkers Lodge. Pick-up available from any Sydney Hotel in the CBD. Get the most complete PGA golf lesson you've ever had at Sydney's newest and most Hi-Tec Golf venue for training, practice and playing rounds of golf. Enjoy 3 30 minute lessons with PGA professional Scott Silva. After each lesson, enjoy an hour in one of our Full Swing golf simulators. The only way to see Hobart, travelling through historic Battery Point where the houses have all been maintained in original Georgian splendour, Sandy Bay which is host to many grand mansions with views across to the Eastern shore. Return via the city and Hobart's magnificent waterfront. Experience what jet boats and speed boats are all about in Australia's Fastest Jet Boats! This trip has been designed for absolute beginners. Tame waves, custom designed equipment and local instructors who are specialised at coaching first time surfers. After a full day of surfing stay at our modern surf camp facility at the magnificent Seven Mile Beach, only a short walk to the surf. How about treating yourself to cruising the beautiful Sydney Harbour with an experienced skipper, friendly crew and your selected friends on an all weather classic timber 1936 Scottish built, 53ft long vessel. Eat and drink while enjoying good company and the magnificent views. Cruise the Harbour in style on board a luxury 33 foot Hunter yacht with friends or family. Perfect for all occassion. See all the magnificents sights as we cruise past the historic buildings and luxury homes. Gourmet catering can be provided or BYO. A 45 minute Extreme adventure, experiencing the Thrills and Spills of the Thunder Twist Jet Boat Ride, but with so much more! A Wet & Wild ride that will take you to the extremes of Sydney Heads, where you will encounter the Ocean Swells at Full Throttle! This ride is NOT for the faint hearted! 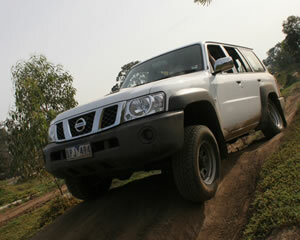 Travel by 4WD to the Blue Mountains. Visit the three sisters and ride the scenic railway, see at breathtaking views of magnificent valleys and ancient rock formations. Have afternoon tea with wild kangaroos before returning to Sydney after a great adventure in the Blue Mountains wilderness. Discover the more remote areas of the Blue Mountains World Heritage Area by 4WD. See breathtaking views of magnificent valleys, ancient rock formations and cool ferny gullies, away from the usual tourist spots. Australia is a continent of diverse scenery and beautiful landscapes, many of which are only accessible by 4wd vehicles. The Search is a 5 day odyssey designed for absolute beginner surfers. Start with a 4 Day Surf Camp at our south coast camp and try your new surfing skills in the paradise of Byron Bay.